In November, a patient at the Alaska Psychiatric Institute confessed a sexual assault on another patient to nurses. When asked about it, the victim said they didn’t feel safe. But it took two days before the perpetrator was moved to another unit. That finding was among the litany of problems documented at API over the past seven months by federal investigators from the Centers for Medicare and Medicaid Services. In multiple visits from July to December, the investigators found more than 80 “substantial deficiencies,” according to a federal database. Each one of the deficiencies was deemed an “immediate jeopardy” to patient safety. The facility had the worst record in the nation during that time period. No other hospital even came close. 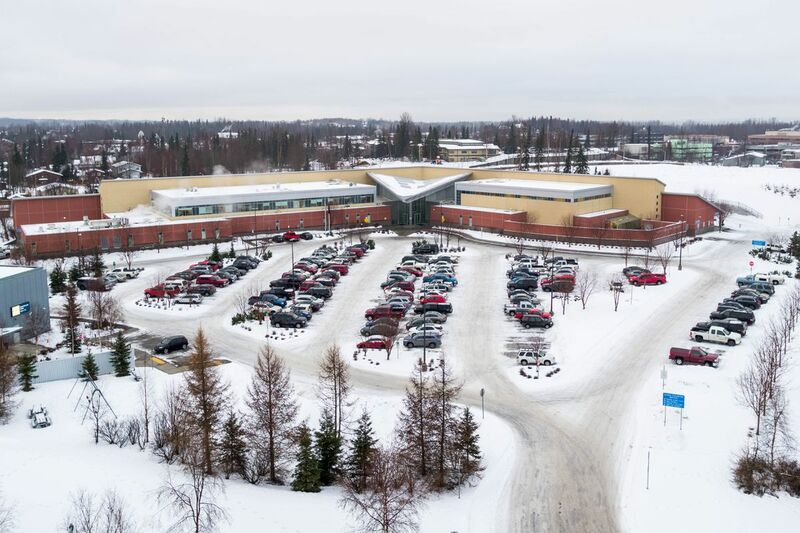 Only one other Alaska hospital, St. Elias Specialty Hospital in Anchorage, was cited last year, for problems relating to blood transfusions. Federal inspectors visited API last summer and put the institution under a “plan of correction” after documenting “failed practices” such as patients being strapped to a gurney and left in seclusion for refusing to go to their own room and “ligature risks” in units housing suicidal patients. The inspectors returned in November and December because of “continued non-compliance,” according to the agency. As recently as Monday, investigators were back at API and discovered another “immediate jeopardy” situation at API, according to CMS. The investigation continues. Hundreds of pages of published findings from the 2018 offer a stark, detailed view of care inside Alaska’s only state-run psychiatric hospital. • An adult with an intellectual disability and “intermittent explosive disorder” being strapped onto a restraint table by ankles and wrists and briefly left alone, crying, in a dark room. • Another patient managed to drink hand sanitizer at least five times while being given “alone time” by staff members in an exercise room, leading to a medical hospitalization for vomiting. • In another incident, video showed a staff member kneeling on the chest of a patient being strapped into restraints and grabbing another by the neck and head, putting the person at risk of injury. • Patients who were sent to the “Oak Room” -- a locked room that’s supposed to be used for secluding violent people as a last resort -- were not allowed out even after they were calm and following staff instructions. In some cases people spent more than two hours in the room. Most of what the inspectors documented happened months after already broadly publicized problems at API, including an independent report that found API to be an unsafe workplace and the firing of top officials. For API — for Alaska’s mentally ill people — the stakes are high. The Centers for Medicare and Medicaid Services acts as a federal oversight agency for medical facilities, charged with ensuring hospitals all over the United States are following the federal regulations and can thus accept federal funds. In extreme cases, the agency can take away a hospital’s ability to receive money from Medicare and Medicaid. It’s called being “decertified” and it’s essentially a death blow for most hospitals. Experts say the kind of record API racked up over the past seven months would normally put a hospital on track for decertification. It happened to Western State Hospital, a troubled state-run psychiatric hospital in Lakewood, Wash., which failed so many inspections that it lost $53 million in federal funding in 2018. But Alaska is in a unique position: API is already the overburdened crux of Alaska’s emergency mental health system. Already, its diminished capacity is hurting people in mental health crisis. Some of the hospital’s units have been closed because they couldn’t safely be operated with low staffing, reducing the number of urgently needed beds. This fall, police began dropping off civilly committed people in psychiatric crisis at the jail because all hospitals including API were full. There, people who haven’t committed a crime have spent days — 13 days in one case, according to DOC — wearing the same jail jumpsuits, eating the same sack lunches passed through a cell door and getting the same hour of recreation time as inmates. “They would have to be pretty desperate to shut down the state’s only psychiatric hospital,” said Dave Fleurant, the executive director of the Disability Law Center of Alaska. The public would be right to be concerned about what federal inspectors found at API, said Albert Wall, deputy commissioner with the Alaska Department of Health and Social Services. But a plan to correct problems is already underway, he said. “I’m already seeing a turnaround,” he said in an interview last week. The department will announce “favorable good news” about API “very soon,” Wall said. By Friday, the state should know whether its latest proposed “plan of correction” has been accepted, according to the Department of Health and Social Services. The department said that plan is still in draft form and declined to release it to the public. National experts and former employees say the CMS findings are trouble, both in sheer number and in content. But they are also a symptom of a more complex set of problems at the hospital. Kristi Brooks, a former protective services officer at API who left her job to spend time with family in early December, said the CMS findings don’t paint a complete picture of what’s happening at the facility. “The staff was set up to fail,” she said. Staff were often left confused about what was acceptable and what was unacceptable when dealing with violent patients, Brooks said. In June, a whistleblower safety officer at API wrote an e-mail chain that was eventually circulated to dozens of top state officials about what he saw as egregious misuses of the seclusion and restraint policy, especially in API’s Chilkat wing for adolescents. “Seclusions are quite clearly being used for punishments, retaliation, attempts at behavior modifications and/or staff’s convenience,” he wrote. He warned that he would continue contacting CMS. Some staff blamed the safety officer for seeming “hell bent on taking API down,” said Brooks. A disagreement over when it’s OK to use force to restrain or seclude a violent or unruly patient is at the heart of API’s problems, according to Anchorage attorney Bill Evans, the author of an independent report on API workplace safety. Many staff members believe the administration is protecting patients at the expense of the safety of workers, Evans wrote. Some think the method taught to nursing staff to deal with handling out-of-control patients is unrealistic and can’t control violent patients. “The fundamental cultural divide existing at API cannot be overstated as it permeates nearly all aspects of the workplace,” Evans wrote. Workers at API find themselves in an impossible situation, said Doug Carson, a business agent with the Alaska State Employees Association, which represents unionized employees at API. “It creates a situation where workers don’t feel like they can do anything to protect themselves,” Carson said. Anchorage mental health advocates Faith Myers and Dorrance Collins have long focused on the idea that one key to improving the experiences of psychiatric patients is giving them a robust and functional system to pursue grievances against the hospital. They say if patients could have their concerns taken seriously the hospital would have more accountability to the people it’s supposed to serve -- not just regulators. The Center for Medicare is back inspecting at API this week. People might not be shocked to hear about problems with a state-run psychiatric hospital, especially if the demands on it far outstrip the resources, said Jencks, the health-care safety expert. He thinks it would be unlikely for the federal authorities to force API to close because it’s so important to the fragile web of mental health care in Alaska.